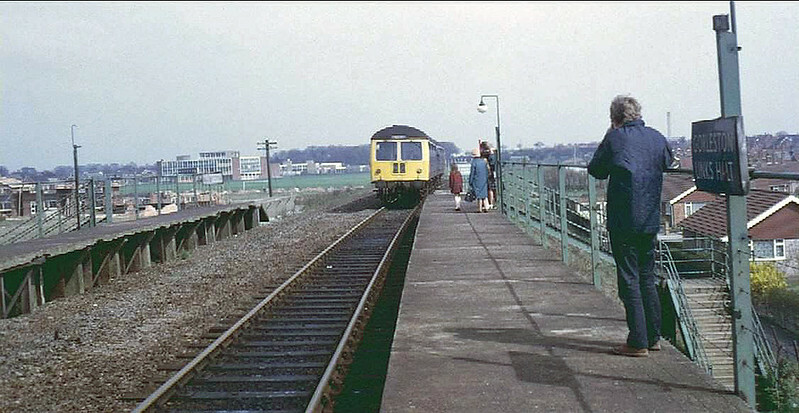 A two car Cravens unit approaches the station on a Yarmouth South Town to Lowestoft working on 2nd May 1970. The last day of passenger working over the line. Photographer unknown.